“Living wall” gardening can make healthful eating fun for students. Putting healthful food in front of schoolchildren, especially low-income students, has long been a goal of educators and nutritionists alike. Baltimore has made some progress recently; the school district runs its own farm, and a few schools have had success growing vegetables and raising chickens. Now, Riyaz Gayasaddin would like to take the local school-food movement in a whole new direction: up. Only a lucky few schools have the space, infrastructure and resources to sustain an outdoor garden. But every school has walls. What if a portion of that vertical space could become eye-catching “living walls,” producing fresh vegetables for distribution in school lunches and the wider community? That’s what Gayasaddin and his partner, Mike Rennard, plan to do at Green Street Academy, a West Baltimore charter school with a focus on sustainability, where Rennard teaches. They expect students in the garden club they lead to be involved in every step of the process: research and planning, choosing crops to plant, harvesting the vegetables and, of course, eating them. Gayasaddin, a native of North Dakota, came to Baltimore with Teach for America in 2008 and taught 10th-grade chemistry at Carver Vocational-Technical High School for three years. 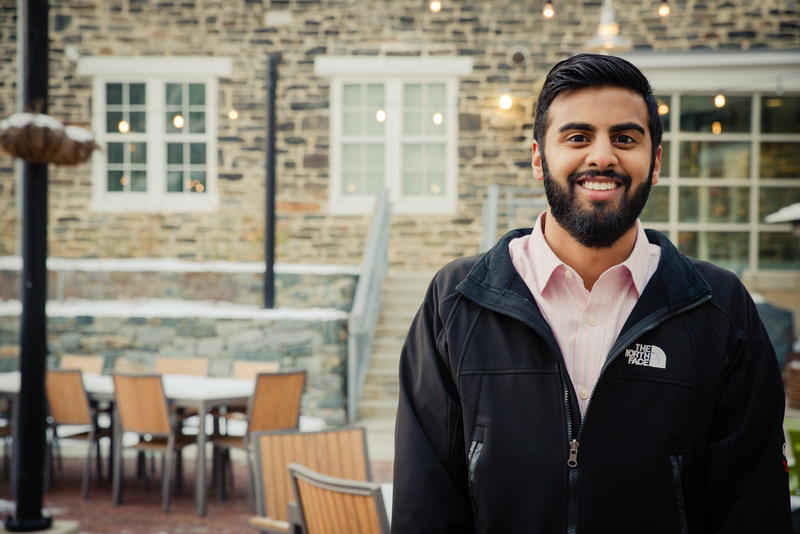 A pre-med student before switching to education, Gayasaddin never lost his interest in health – and a lot of what he saw in the classroom disturbed him. Kids often snacked on sweets that led to sugar highs and crashes. Many avoided the school cafeteria. Obesity was rampant. As a science teacher, Gayasaddin, 28, felt he was in a position to help; “I kind of went rogue with my curriculum,” he says. He started to include lessons about nutrition and other aspects of health; he shared unfamiliar foods, like hummus and kale. Over time, some students started bringing salads to school or persuaded their parents to get gym memberships. Now a full-time trainer of teachers for TFA, Gayasaddin, who lives in Hampden, says he sees edible walls as a natural step forward for the school-food movement. A vertical garden, he says, can go almost anywhere and be pretty much any size. Gayasaddin and Rennard are still figuring out which vegetables are most likely to thrive in an indoor environment with variable temperatures, and how much lighting, water, soil and compost will be needed. They expect to start out with green, leafy vegetables such as spinach and kale. A handful of schools in other cities have tried this, but not in Baltimore. Gayasaddin and Rennard hope to share their experience with other schools, as well as nonprofits, commercial businesses – pretty much anyone who is intrigued and has a wall. “Our dream is to inspire others,” he says.